After my first winter in Minnesota, I swore I would buy cross-country skis and glide cheerfully through the coming year. Five nearly-snowless winters later, however, I was still without skis when my friend Amber invited me to go winter camping in the Boundary Waters Canoe Area Wilderness (BWCA). “Why on earth would I want to trek into the frozen wilderness?” I wondered as my mouth accidentally said yes. One month later, we piled our gear into a car and head north, north, north to join the rest of our group, who were friends of her brother-in-law. I strapped on borrowed skis at the edge of Sea Gull Lake – skate-style and too big for me to manage – and gave up within the first five minutes of our adventure. So it came to be that I trudged five miles across a frozen lake in snowshoes while everyone else glided cheerfully into the wild. Who would guess you could get this hot in the winter? In spite of the cold and my obvious lack of skis, I was amazed by the beauty of the Boundary Waters in winter and surprised by how much fun I had during our two-night trip. We camped on an island in JAP Lake, named after longtime local residents James and Ann Paulson, which is situated one-mile south of Sea Gull at the end of a grueling portage. (I fell once along the way and spent three minutes on my back like a turtle, unable to get up because the snow was so deep.) We caught lake trout hand-over-fist, and ate fish fingers and fish tacos for dinner both nights. On our second day, Easter morning, I awoke to find a fox standing calmly outside our tent, gazing at me without fear. We had a full moon both nights and it reflected brightly off the snowy landscape, creating an aura of eternal twilight. 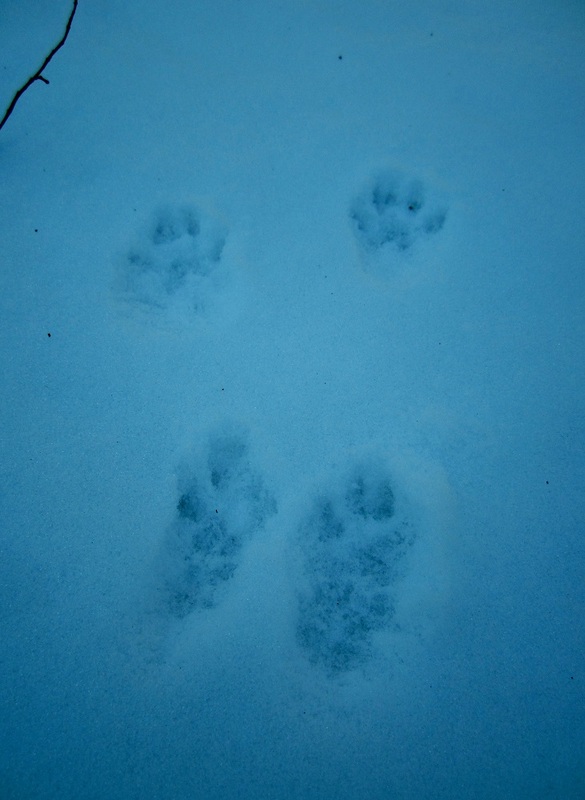 Tracks in the snow hint at the wildlife nearby but out of sight. Twelve years later, I finally own a “real” pair of cross-country skis that fit right and allow me to glide cheerfully through the winter. I’ve also returned several times to the Boundary Waters in both winter and summer, experiencing a uniquely different adventure each time. I learned never to go in mid-summer, after taking my desert-dwelling dad there one 4th of July and fleeing early through a cloud of ravenous mosquitoes. I hiked to the top of Eagle Mountain, the highest point in Minnesota, and paddle-portaged a three-woman canoe across a dozen lily-strewn puddles during a girls’ trip one August. 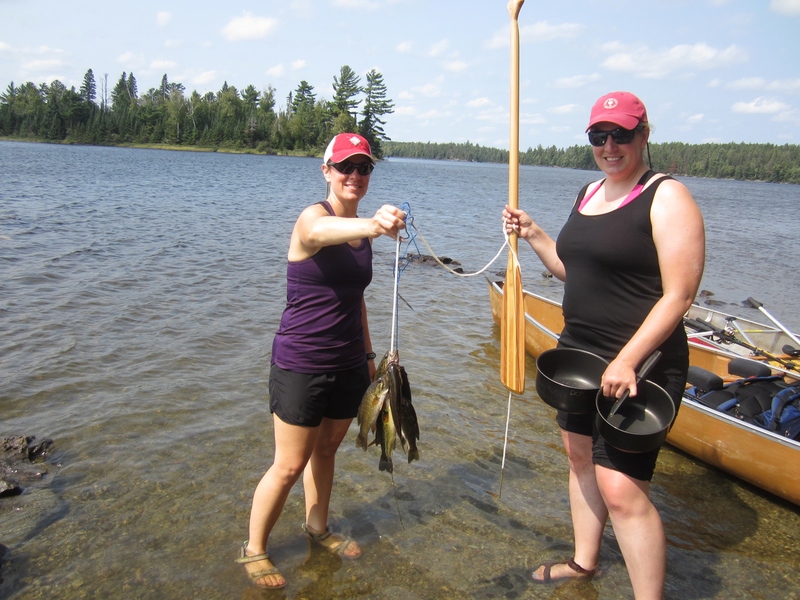 Friends Erica Ellefson and Katie Pata show off fresh caught bass from a lake in the Boundary Waters. The BWCA is a unique American treasure. It contains over one million acres of wilderness, extending nearly 150 miles along the border between Minnesota and Canada. Part of the National Wilderness Preservation System since 1964, the BWCA contains 1200 miles of canoe routes, 12 hiking trails, and more than 2000 designated campsites. The Boundary Waters Canoe Area Wilderness Act of 1978 established further guidelines to protect and manage fish and wildlife; protect environmental quality; maintain high water quality; minimize impacts caused by mining; restore natural conditions in areas that had temporary roads; and provide an orderly transition from motorized to non-motorized recreation. 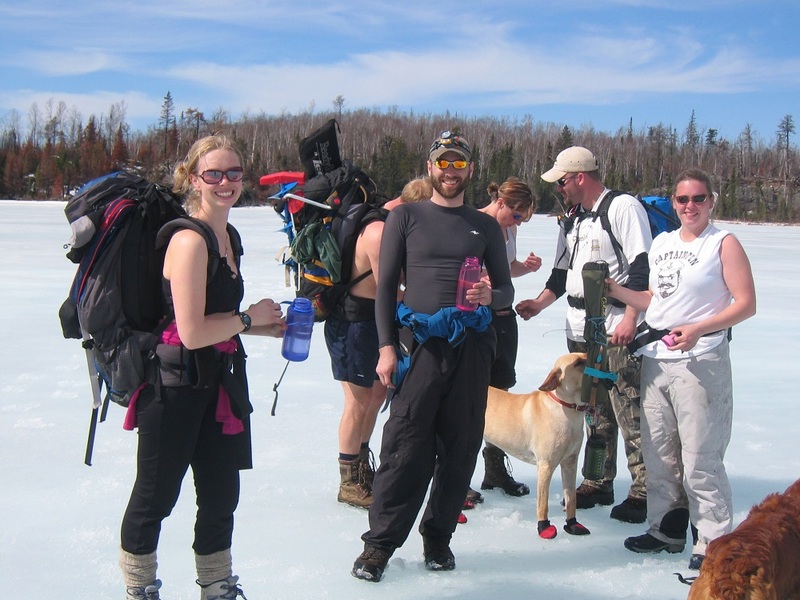 In recent years, 105,000-114,000 per year have visited the BWCA during the summer months when permits are required (May 1 – Sept. 30). The federal Wilderness Act established wilderness areas that would remain undeveloped, “for the use and enjoyment of the American people in such a manner as will leave them unimpaired for future use and enjoyment as wilderness”. For many of my friends that grew up in Minnesota, a trip to the BWCA was a rite of passage, enjoyed with a youth group, scouts, or family. Like me, they share vivid memories of canoes that almost swamped, lakes still as glass, and a midnight sky overflowing with stars. As the joy of the holiday season fades away into bitter cold mid-winter, I’m bundling up and sipping endless cups of coffee. The sky is gray, the trees are bare, and somewhere in the back of my mind I’m wondering if it might be time for a camping trip. 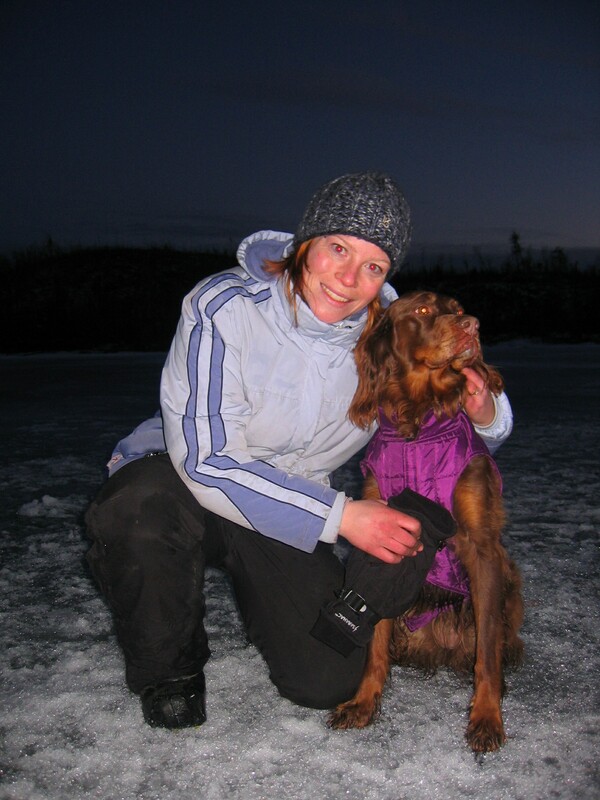 Winter camping in 2007 with Cocoa, who has since gone away to college.